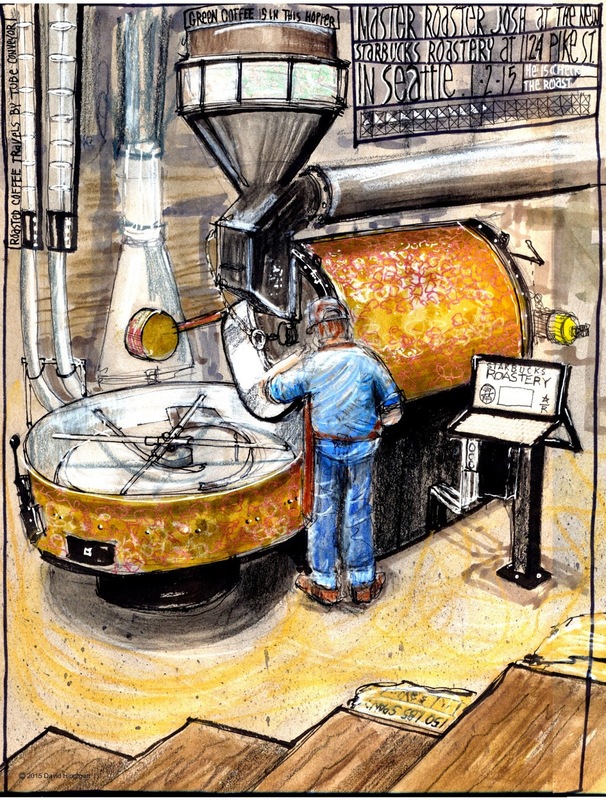 I went to the New Starbucks Roastery for the Ad Hoc Sketchcrawl and had a great time. I didn't see anyone else there but it was packed with people and there was a line to get in complete with security. There are a ton of interesting things and details to sketch. David, the ad hoc is not till Jan. 9! Sorry we were out of sync! But I love your sketch, and I'm glad you had a good time! Ha! I did the same thing on another occasion. Stunning sketch you made though. Two thumbs up, David! I love the textures you're getting, David. They are so rich. Michele and Jane, Thank you both for the kind words. I appreciate it.